Anyway, I am so excited, and let me tell you why. 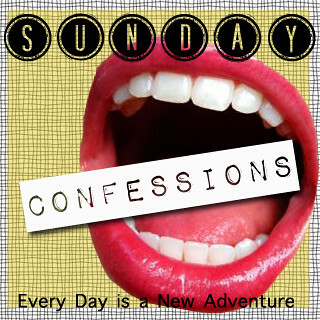 I asked you guys last week if I should do a Sunday Confessions link-up party, and I got a lot of people who said yes, so I figured why not?! Here's the drill: Once you're done reading my confessions, head down to the bottom, and add your link to the list (which may or may not be nonexistent by the time you get there). Grab the button above and put it on your blog entry. I'm so excited to read them all!!! They can be ridiculous, funny, serious, or stupid. It doesn't matter, just as long as they're your confessions! So, without further ado, I give you my Sunday Confessions. 1. I love this song. So much so, in fact, that when I was in high school, a friend and I would spend hours belting it out while we were on the phone with each other. Most of the time it included me standing on my bed singing into a hairbrush like I was some sort of rock star. 2. When I was little and my mom served veggies at dinner, I'd spit them into my napkin. Yeah... that happened most frequently with cauliflower. I don't think she ever caught on, but I could be totally wrong. Actually, I bet I am, and she's reading this right now and laughing maniacally. That little innocent looking creature in the picture? Yeah, that's the one that spit out her food. 3. I look like a monkey when I try to dance. Seriously. 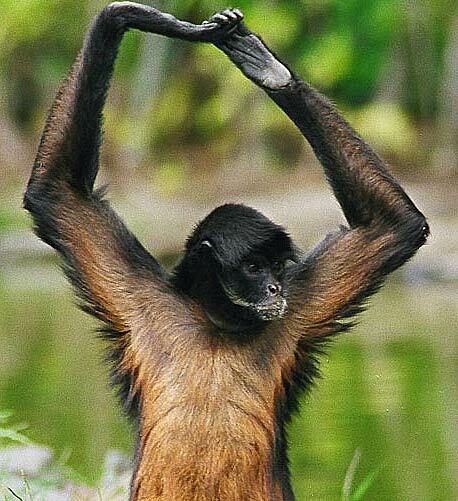 If you are ever up in the club, and you see a freakishly tall girl who greatly resembles a monkey... come up and say hi - I'd love to meet you. Ha! 5. A few days ago, I shaved my legs for the first time in almost two months. Gross, right? I think it was almost too much for my poor razor to handle. It was also too much for me to handle when I put on workout shorts and saw man legs (I don't understand the picture, either... it had hairy legs, okay?). So... Get to linking up! I can't wait to see what you guys have to say!! Also, giveaway ends tonight at 11:59 p.m. central US time! If you haven't already, enter here. I eat oreos the same way!! I wanna do this link-up next week! I love this! And you know, so many Disney movies songs have been my favourite. I actually had the Hercules tape and forced my mom to play it in the car ALL.THE.TIME. Anastasia has a lot of great songs too. There's my confession for the day. Oh and I fully agree with the leg shaving thing. When there's no need, why do it? I mean, it's like an extra layer, right? HAHA! This is too cute. 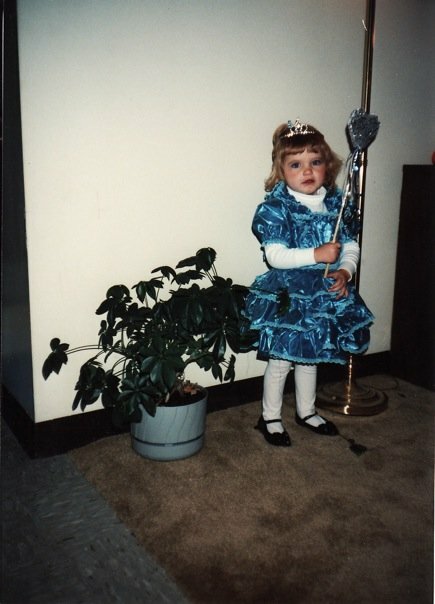 & What a cute little girl you were! New to your blog....can't wait to follow along and read lots more! WAHOOO, I did it, and I linked it ;) I Love these, yours always make me giggle! I got so excited when I saw the 2 songs at the top, I LOVE THEM BOTH! I am with you on the man legs, it's winter, it's acceptable right? I love your confessions...I've tried to write them , but I can never come up with anything good. I just can't get my brain to go there...but I eat Oreo's like you too...I just eat them-the whole box. 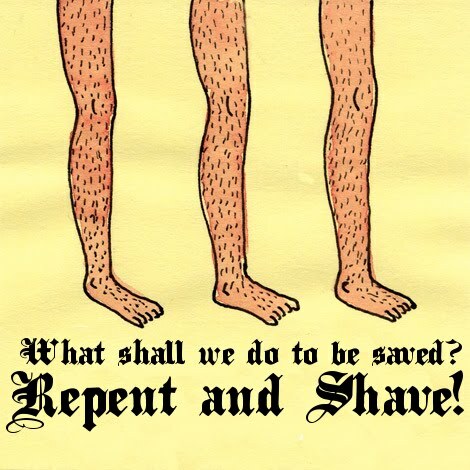 oh gosh, i hate shaving! especially in the winter. that picture made me laugh!